Families love our brand new, spacious infant room! Our Infant Room is beautifully decorated and provides care for babies, ages 6 weeks to 12 months. Each baby is given a crib which meets the new federal safety standards. Parents have a place to easily store their baby’s car seat, and a personal locker is provided for extra clothing, baby food, diapers and wipes. The large play area in the carpeted section is the highlight, where babies socialize with one another, or just relax in the cozy corner. We are glad to accommodate cloth diapers if that is your preference. Children Central believes that all children have the right to grow and learn in a warm, safe and loving environment. 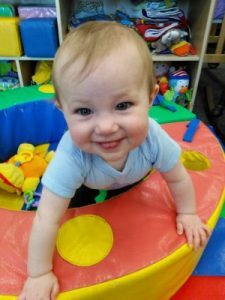 We are not just considered one of the best in Children’s Day Care in Pennsylvania, we provide so much more to make each day a wonderful learning experience in early childhood education for our babies. We take good care of our babies! We constantly sanitize and disinfect the infant environment. Our facility is designed so that our feeding area is completely separated from the diapering area. Sanitation procedures are clearly defined for all CHILDREN CENTRAL caregivers. We provide a daily communication record of your infant’s day. 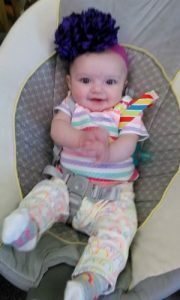 We list when and what was eaten, diaper changing information and general infant observational notes. We help you and your child make the natural transition into the next group, which is the Toddler class. As we do in all classrooms, we plan for a 2-week transition and graduation to the next class, which is Toddlers. This allows a child to make a gradual transition to get comfortable in the next class. 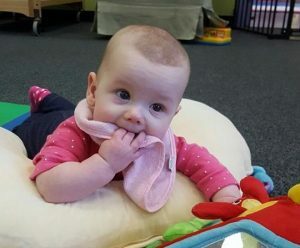 Children Central baby daycare assesses the infant at each stage and notes the accomplishments of major milestones of infant development that are observed while in our Infant Care. Caregivers are required to obtain Pediatric First Aid and CPR training, as well as attend a minimum of 18-24 hours training in early childhood education.